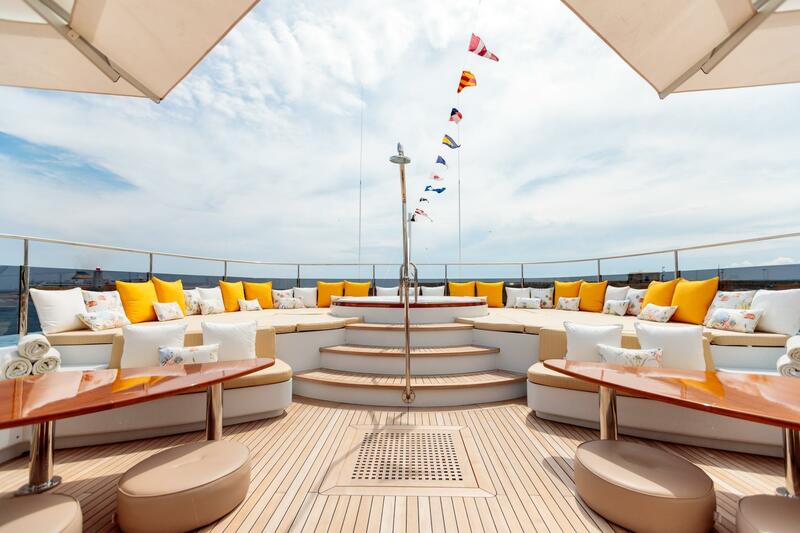 43.50m displacement motor yacht BRAON TRENCK (ex Project 507) is the first explorer superyacht built by the Italian shipyard Eurocraft Cantieri Navali and launched in 2011. 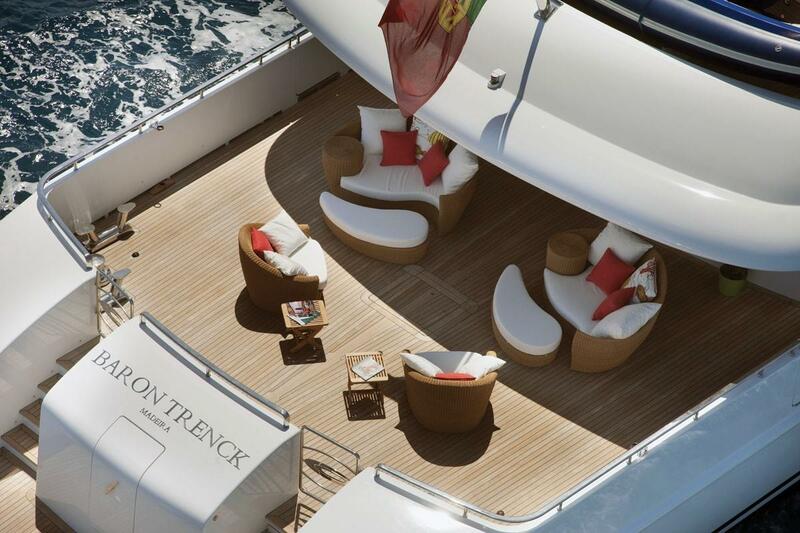 In-house designed Baron Trenck superyacht is a mixture of the typical explorer looks with elegance, style and comfort. 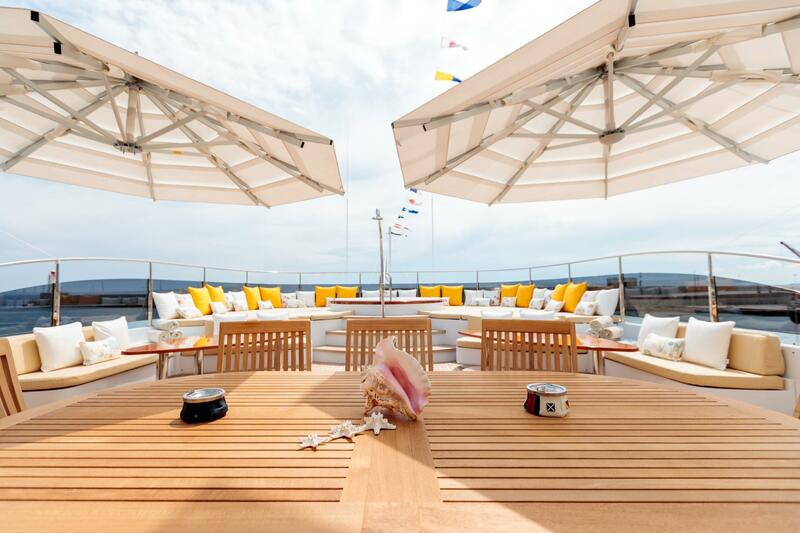 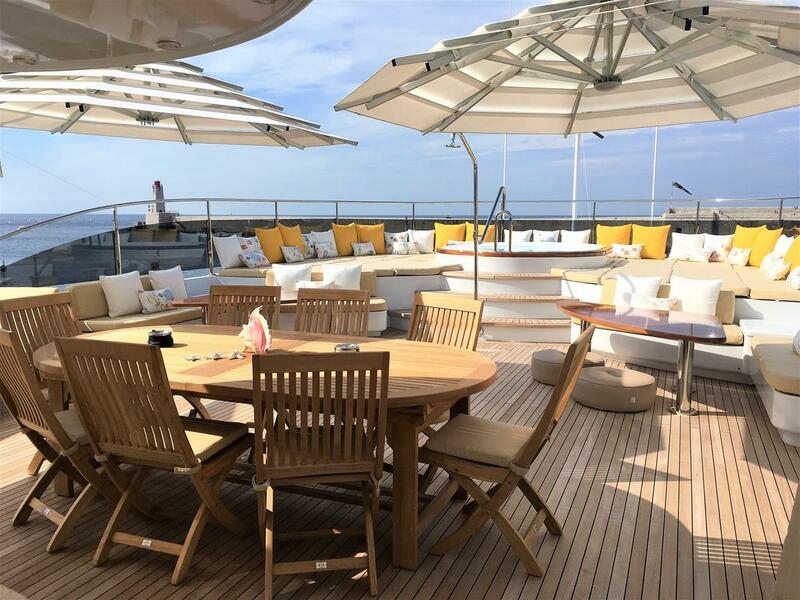 She was refitted in 2016 and offers deluxe accommodation for up to 12 guests in 6 suites, while a crew of 9 offers high-quality, professional service on board. 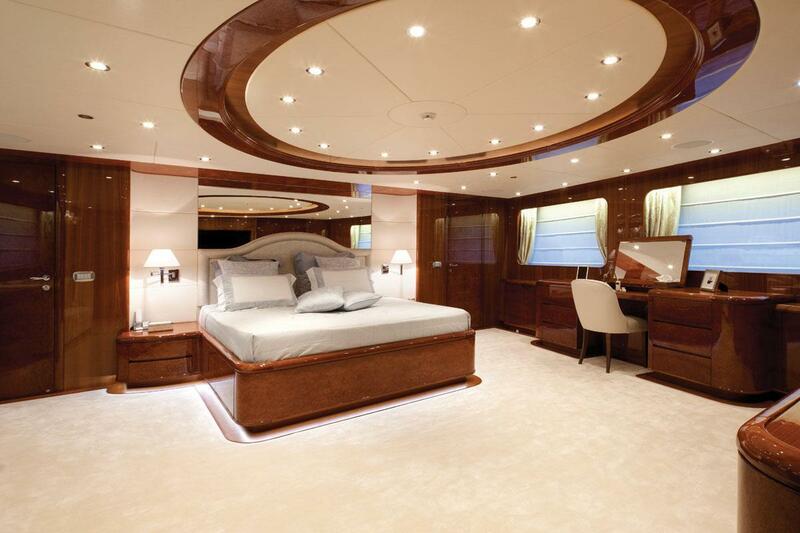 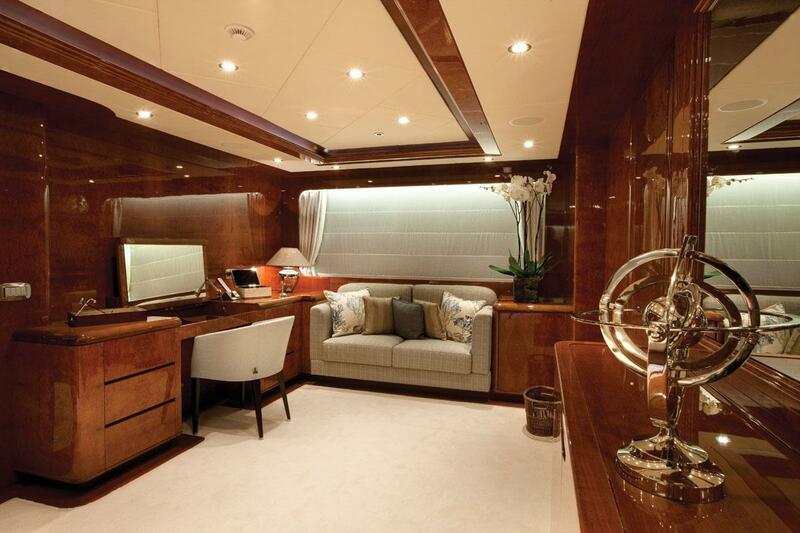 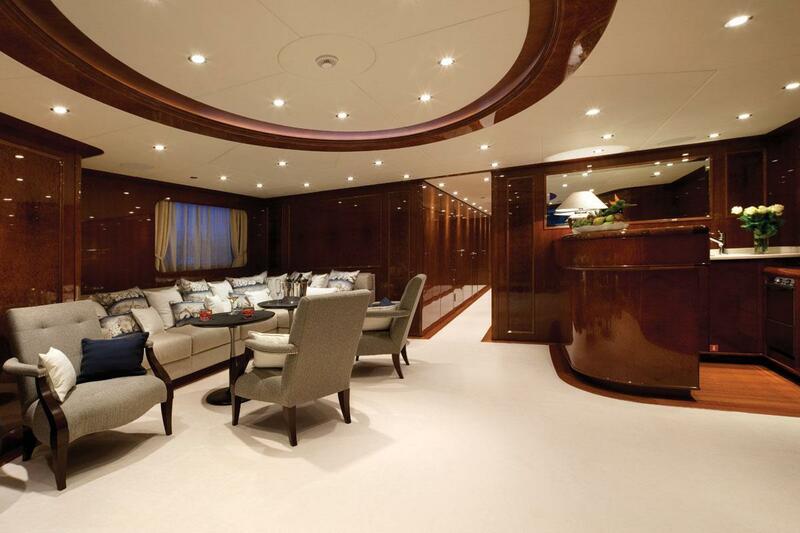 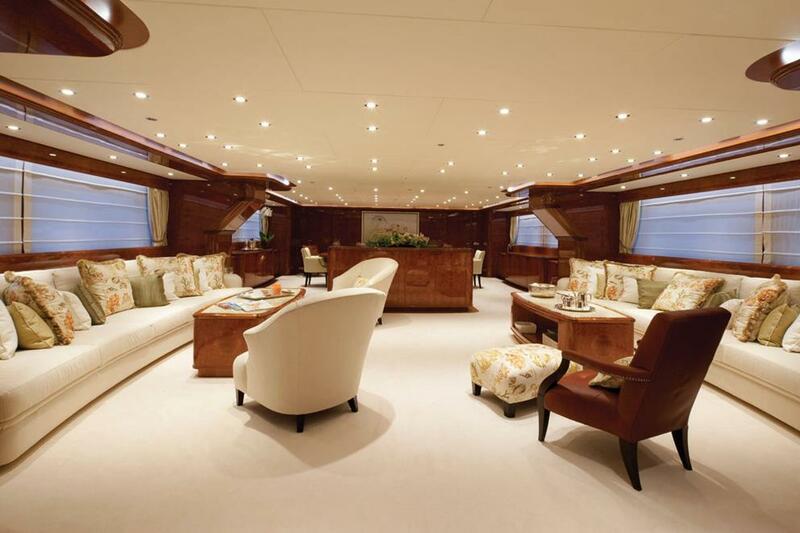 The yacht features a large master suite on the main deck, with large oval windows offering excellent sea views. 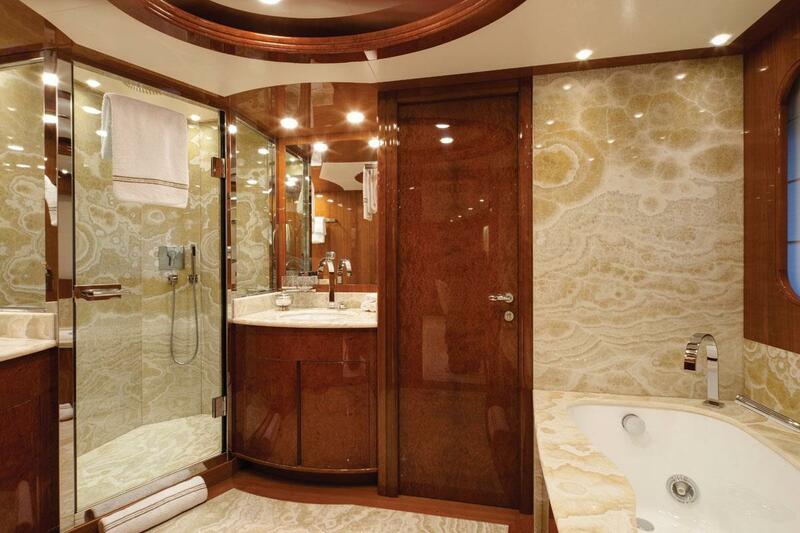 A bedroom, separate office, his and hers bathrooms with Spa Pool, shower and walk-in-closet make a part of this stunning suite. 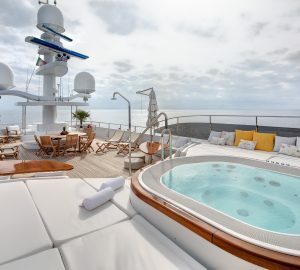 There are four more comfortable guest cabins on the lower deck, consisting of one full-beam VIP, one double and two twin cabins as well as 5 crew cabins. 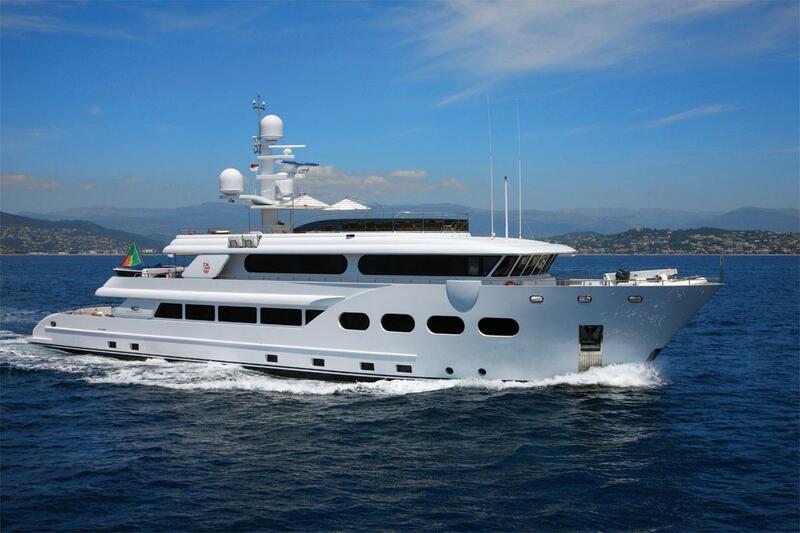 43.50m Baron Trenck (ex Project 507) yacht has a steel hull with aluminium superstructure, a beam of 8.20m (27ft), a draught of 3m (10ft) and is powered by twin 816hp MTU 12V 2000 M60 diesel engines, which allow her to reach a top speed of 14 knots and a cruising speed of 12 knots. 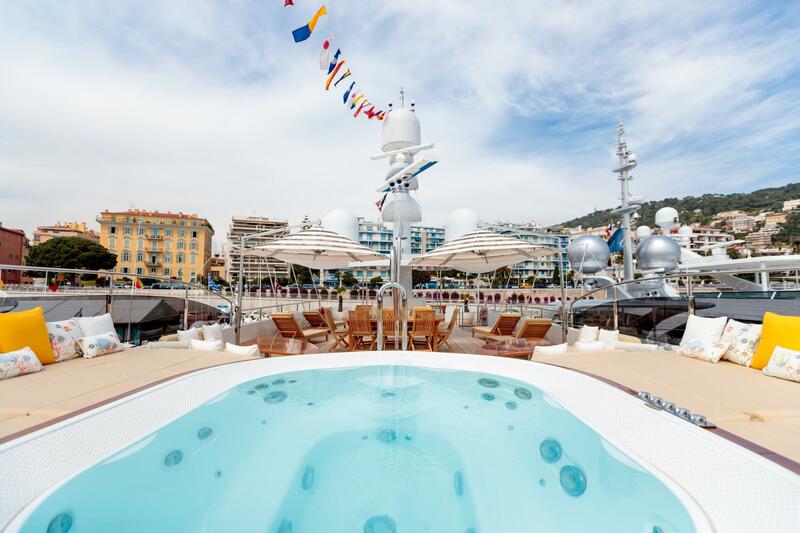 The beautiful Baron Trenck is built to RINA class and complies with the MCA rules. 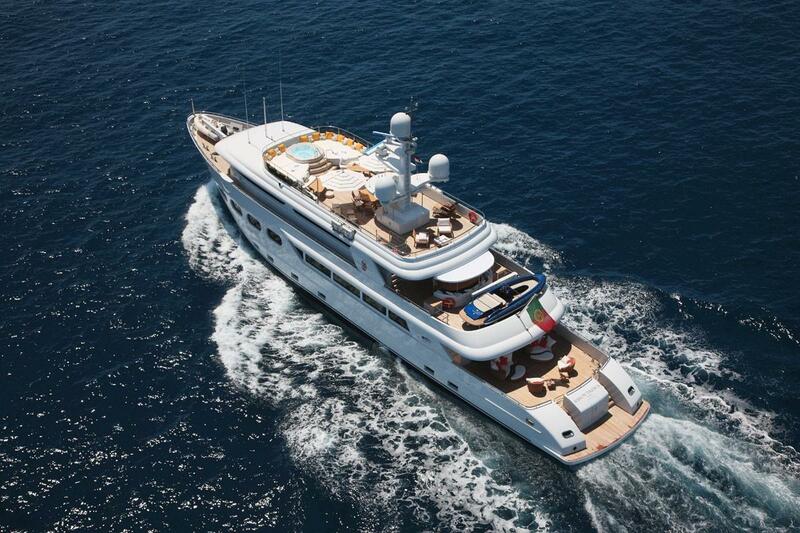 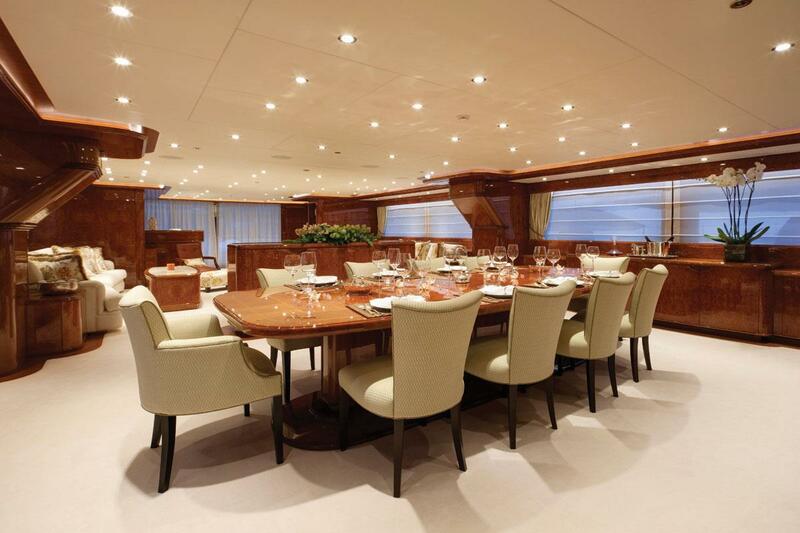 Eurocraft super yacht Baron Trenck offers accommodation to 12 guests in five luxury cabins. 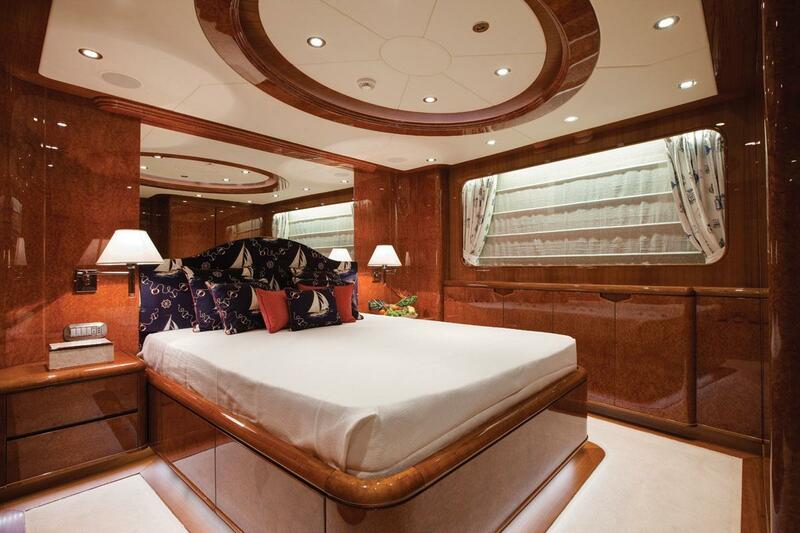 There is a spacious master suite on the main deck, with large oval windows providing amazing sea views. 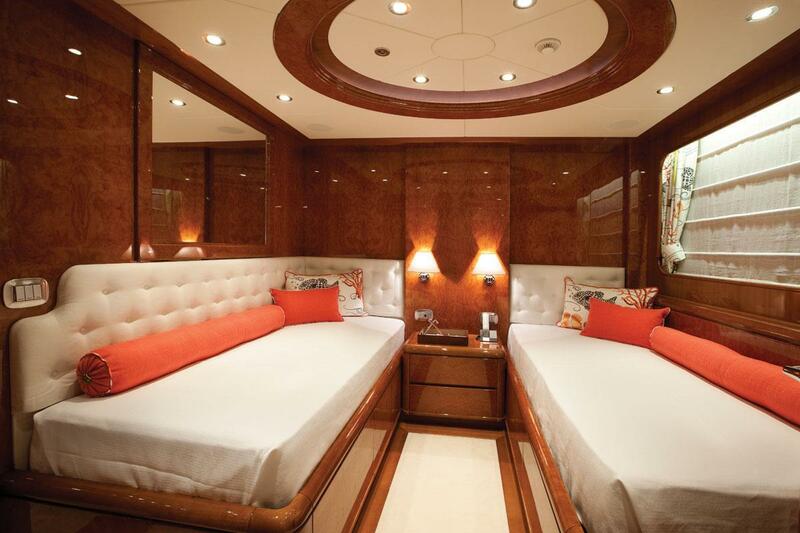 This beautiful suite includes a bedroom, separate office, his and hers bathrooms with Spa Pool, shower and walk-in closet. 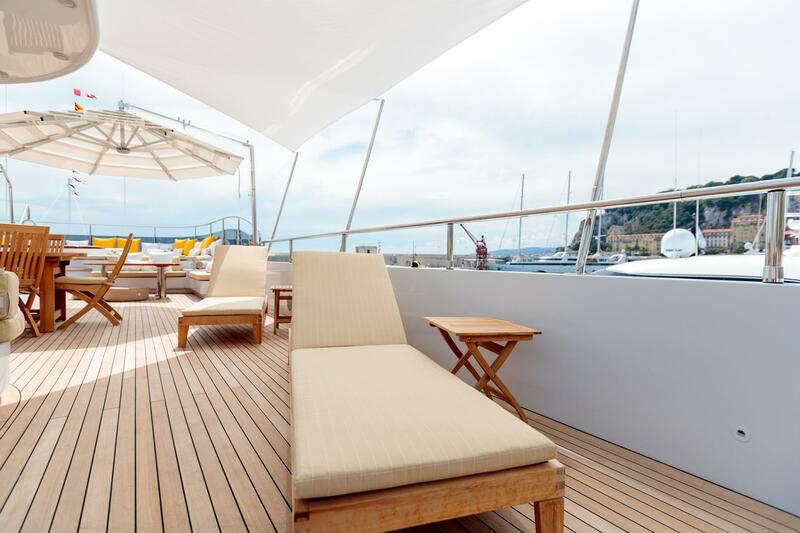 Three more luxury guest cabins are situated on the lower deck, including one full-beam VIP, one double and 1 twin cabin. 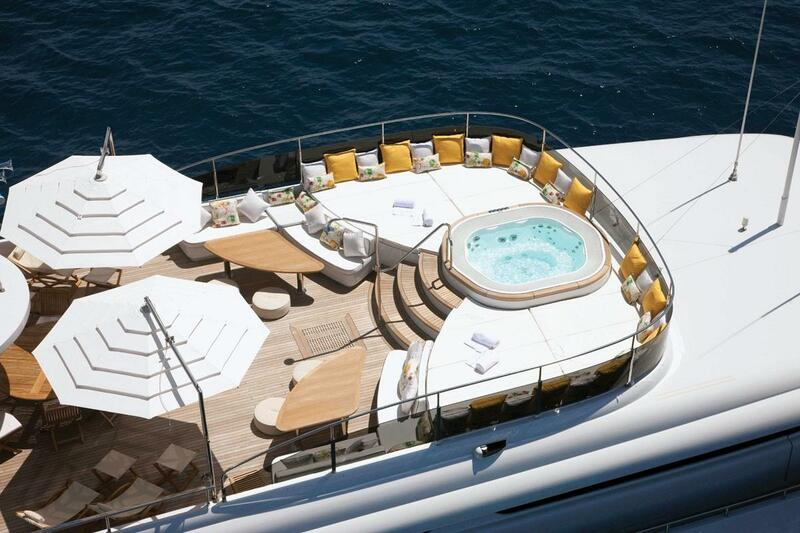 A further 2 twin cabins are located on the bridge deck.